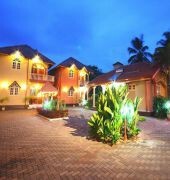 Paradise Holiday Village is located in the coastal belt of Negombo. The hotel offers 50 accommodations including fully furnished apartments with living areas, kitchenette and private balcony. 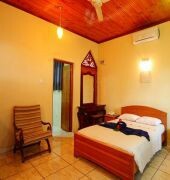 Each room is equipped with safety lockers, mini fridge/bar, satellite TV and bathroom with hot and cold shower. 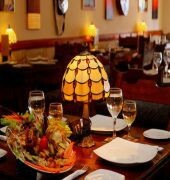 The in-house restaurant offers an al la carte menu of Western, Eastern and local cuisine along with a wide selection of beverages. Meals can also be ordered via room service. Leisure facilities include an outdoor swimming pool and a private beach (approximately 5 minute walk). The Paradise Holiday Village is 13 km away from Bandaranaike International Airport.